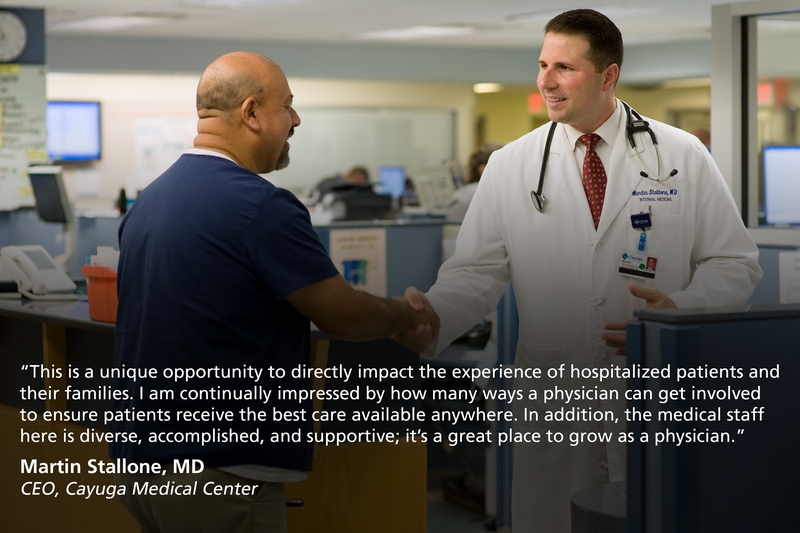 Our Medical Staff consists of nearly 400 providers, serving more than 40 different specialties. Well over 90% of our physicians are board certified in their fields of practice. 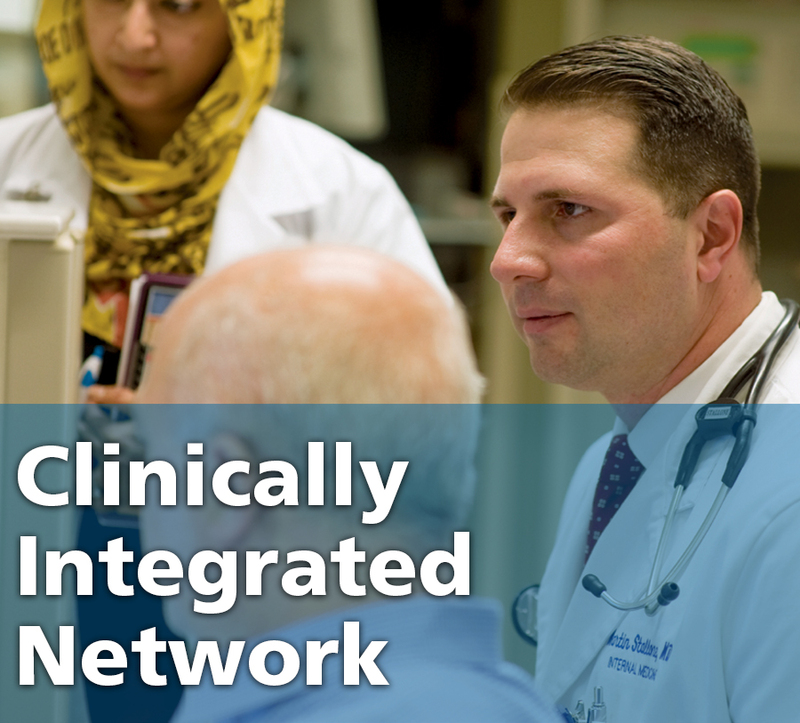 Through our clinically integrated and accountable care networks, which are partnerships of the medical center and physicians’ alliance, the medical staff have a sense of autonomy and involvement. Our health care network offers a dynamic blend of employment options in both hospital and private practice models, and boasts an excellent community payer mix with a stable patient base. Each of the entities that comprise the Cayuga Health System are dedicated to the personal and professional growth of our providers and to creating future medical leaders for our community, which means that opportunities for leadership are extensive. 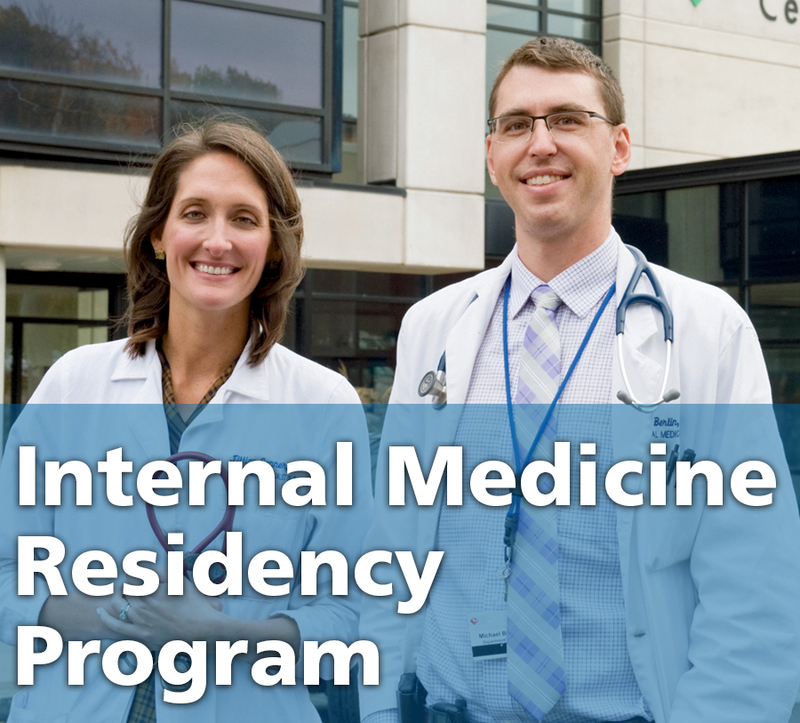 The Cayuga Medical Center Internal Medicine Residency Program offers the chance to teach and provides academic appointments to eligible candidates. In addition, our medical staff is well-known for being friendly and welcoming to new staff and their families. We are continually researching and utilizing best practices and use state of the art equipment to provide optimum results for our patients. Cayuga Health System is affiliated with well-known and highly respected healthcare partners, including Roswell Park Cancer Institute, Weill Cornell Medical Center, Rochester Heart Institute, Mayo Clinic Laboratories, and Upstate Medical Center. 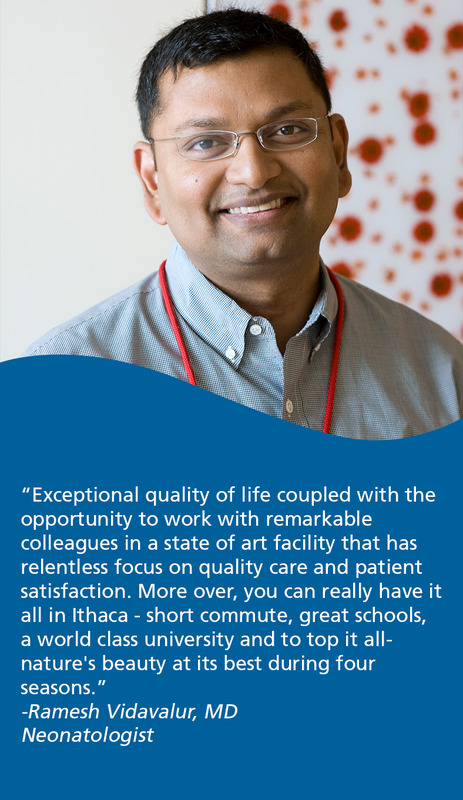 We feel honored and privileged that the Ithaca community has entrusted their health care to our team.